Posted on November 20, 2018 by Mia T.
Willow Chance—a gardener, a once-orphan, an intellectual—is no ordinary twelve-year-old. Some would call her a genius. Willow’s great curiosity and knowledge help her understand aspects of the world, but sometimes keep others from understanding her. Her highly analytical and sharp mind alienate her from the majority of her peers, and Willow’s adoptive parents worry for her social life. When a tragic accident snatches away the two people who loved Willow the most, Willow is forced to adapt to a new life in which she doesn’t understand everything the way she used to. On her path to find her new place in the world, Willow, once more an orphan, unintentionally brings together a Vietnamese family, an unmotivated counselor, and a taxi driver. She fills in the missing areas in the lives of these people, and they wish to return the favor. Counting by Sevens is a beautiful story of persistence, strength, metamorphosis, and the meaning of a family. I read Counting by Sevens a few years ago, and recently read it again. This time around, I was able to appreciate and understand the story and its themes on a deeper level. The characters are all so unique and well-developed, and their metamorphoses catalyzed by the arrival of Willow Chance into their world are truly inspiring. Holly Goldberg Sloan exhibits a beautiful, flowing, and poetic narration which captures an incredible gamut of emotions. Her ability to convey such emotions through the complex characters she creates is amazing, and it contributes greatly to the essence of the story. 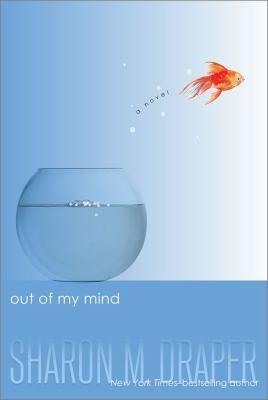 One thing I enjoyed most about this book were the intriguing metaphors that are sprinkled throughout the story. These perspectives and ideas of life are so clever and pretty, and they augmented the impact of the novel for me. 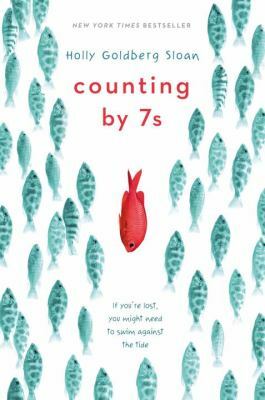 The beautiful narration of Counting by Sevens combined with the strong, funny, unique characters build a touching novel of acceptance and the importance of both individuality and connections. Counting by Sevens by Holly Goldberg Sloan is available for checkout from the Mission Viejo Library.